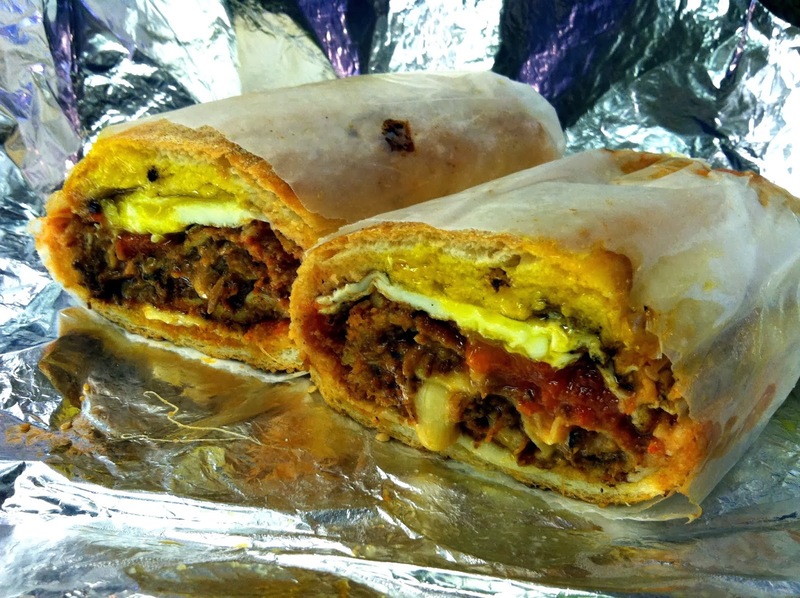 An all-time Sandwich Quest favorite is Paesano’s Bolognese, a brilliant combination of fried lasagna, mozzarella, provolone, red sauce and a fried egg served on a delicious roll. No wonder it was the 2011 Scarpetta Award winner for best sandwich. 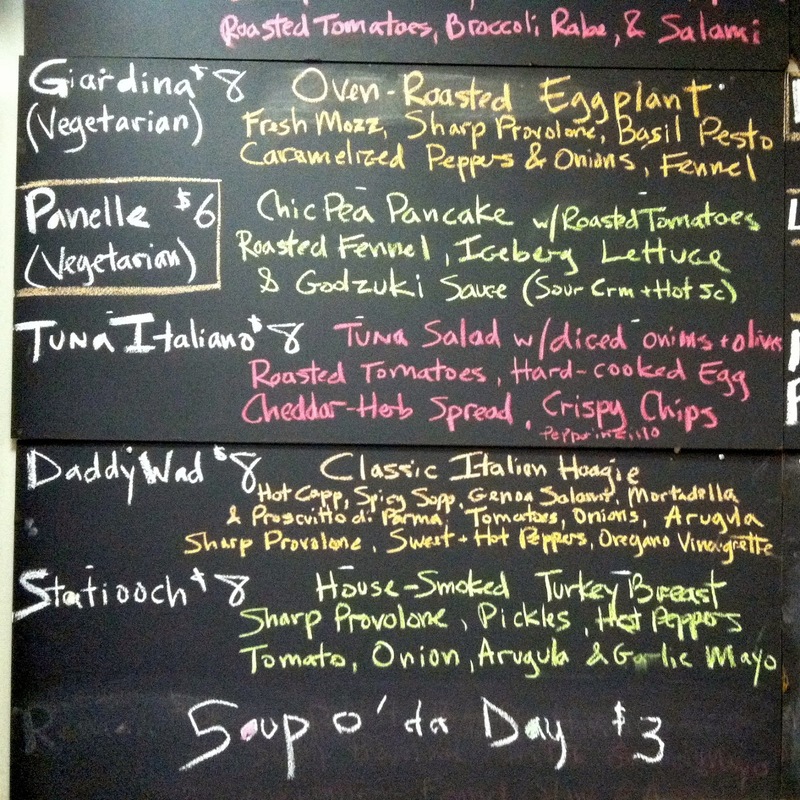 The question for Hoagie Quest, then, was: would Paesano's Italian hoagie, called the Daddy Wad, inspire the same level of love? The short answer is that the Daddy Wad fulfills all the requirements of a great Italian hoagie and is one of the best in Philadelphia. 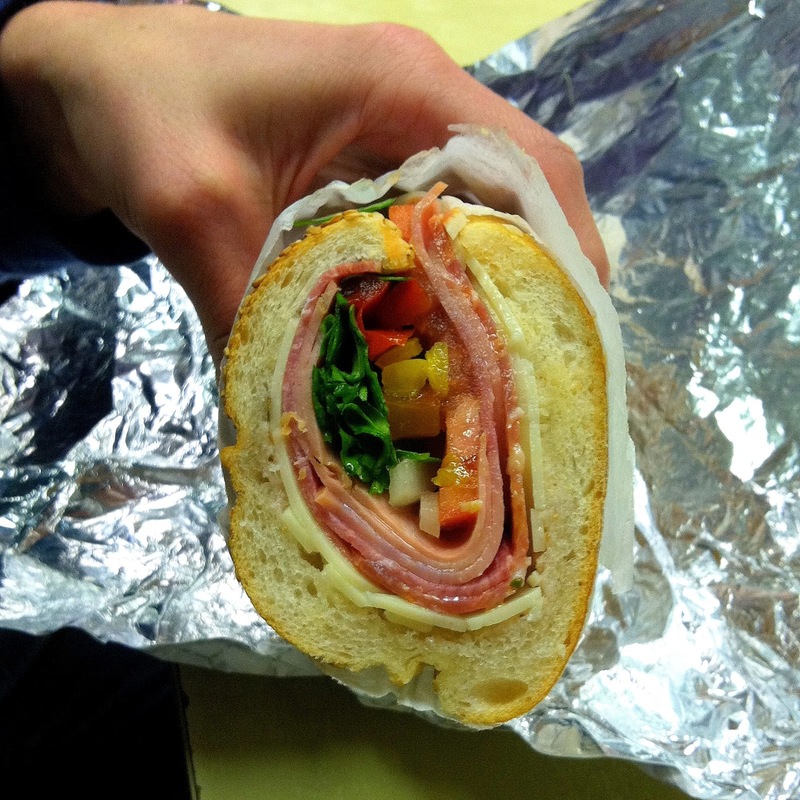 We'll get to the actual hoagie in second, but Paesano's itself needs some explaining. It's often the atmosphere of a hoagie shop or the care a chef puts into his creations that can elevate a meal or sandwich from good to great. For me, being in the heart of the Italian Market conjures up images of the young Vito Corleone roaming the streets with his fellow immigrants, surrounded by push carts sharing their wares. Yes, most of that image is from a bygone era, but the dreamer in me still likes to think I can recreate it, if only for minute. 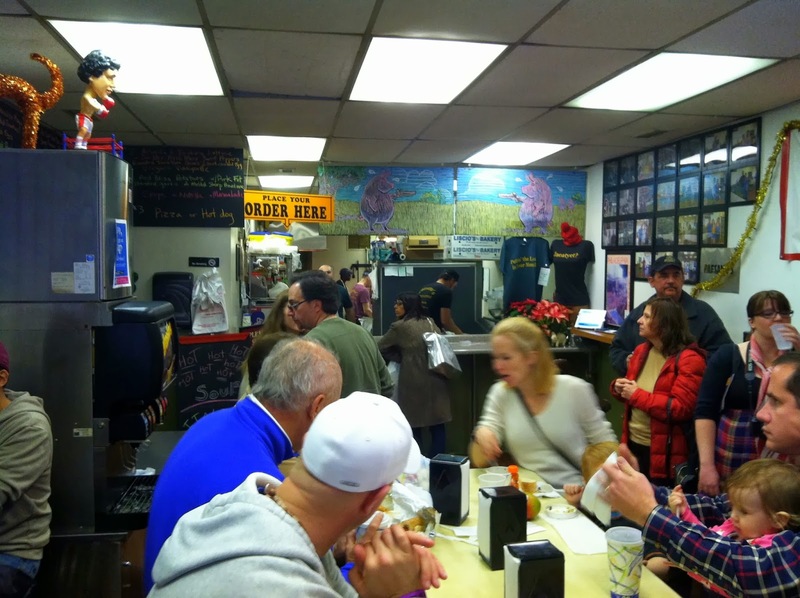 On any given day, Paesano's is filled with locals just looking for a good sandwich. It's a small space so you need to sit elbow to elbow on a crowded day. You'll find yourself talking to others and asking them what they think of their hoagie, helping others know where to order, etc. It's that type of experience that helps make a place like Paesano's stand out. I'm sure others that reach the top of Hoagie Quest will also offer similar experiences. Salumeria surely benefits from the liveliness of Reading Terminal Market, but in turn creates a different, but equally special, experience. Okay, on to the hoagie already. Even the little kid in is enamored with Daddy Wad. You can see from the photo that the collection of mortadella, genoa salami, sopressata and cappicola spills out of the roll. The meat is high-quality and packed with flavor. 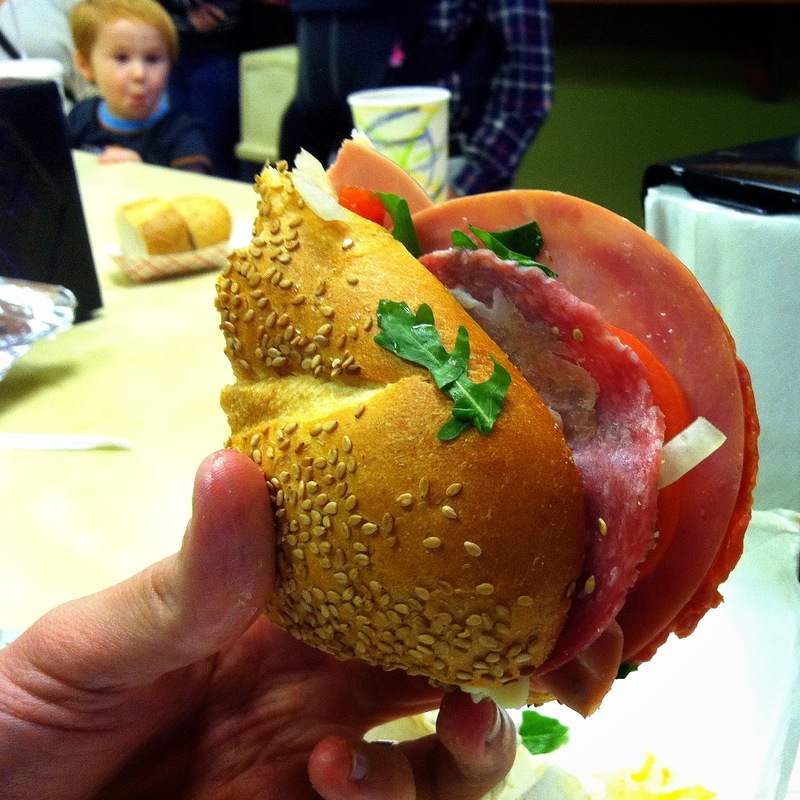 Any fears of hoagie jaw can be dismissed as the Liscio’s roll has a perfect level of softness on the inside and chew on the outside. The best part of the Daddy Wad is the sharp provolone, especially if you like your provolone to come with plenty of bite and saltiness. You could taste it in every bite. Excellent! The use of arugula adds a nice touch of peppery, bitter flavor although I could have used a little more. On the more nitpicky side, the tomatoes lacked any flavor, which is probably understandable since it is out of season for the best ones. Receiving the end slice of tomato is not, however. Does anyone else agree that end slices should never be used? I also thought Paesano's skimped on peppers. Here are some more photos to give you the full experience. Note that the Girard Ave location of Paesano's is also great, but even smaller with only a handful of counter seats. Also, the fried lasagna Bolognese is not served there, only in the Italian Market. Inside Paesano's, everyone is family. 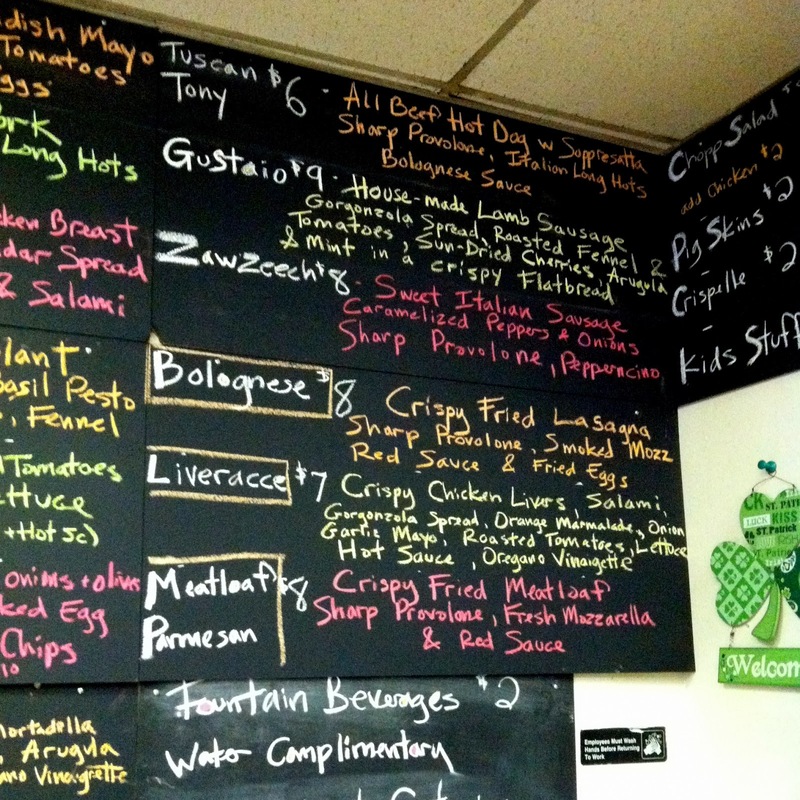 Half of Paesano's menu. Soup looked good, too. One more cool thing about Paesano's: the soda selection. 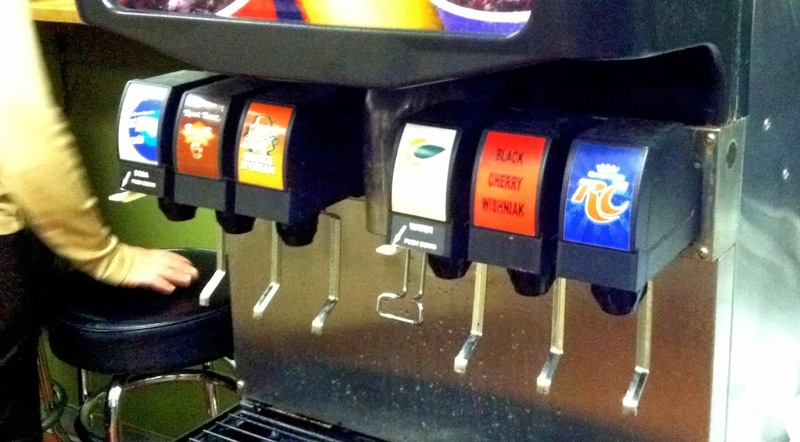 Remember RC Cola? Friendly reminder of how awesome the Bolognese is. Thanks for the review. I finally tried this one over on Girard the other day, but I was sick and couldn't really taste anything. I'm gonna have to give it another shot. Even sick, I definitely have to say the sharp provolone stood out to me as well. In a very good way. My favorite at Paesano's is the Liveracce, but unfortunately they don't do that one at Girard, either, and I only get down the Italian Market area maybe once every couple months or so. I've been meaning to try the Bolognese forever, but I find it almost impossible to pass up the Liveracce, or a tongue-and-tripe at George's, whenever I'm down that way. One of these years I'll get to it!